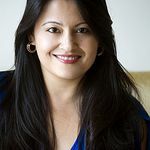 Ayesha Raj has a PhD in Sociology and is the author of the motivational book, 'Moments of Realization.' She grew up in India and has lived in Cambridge, Dubai, Lausanne and Singapore. When she is not writing, she speaks about employee engagement and loyalty in companies from a sociological perspective. Success! Insanely Indian sold 113 pre-orders by March 2, 2015, and will be self published. The first 50 pre-orders will enjoy the benefit of free delivery within Singapore and internationally as well. For companies or individuals ordering more than 5 copies, free consultation on employee engagement, motivation and loyalty. For orders above 10 copies, there will be an acknowledgement in the book. 'Insanely Indian' is a political romance which captures the human need for being rooted and asserting one's identity. It takes you on a journey of love, marriage, parenthood and 'Indian-ness' in contemporary times, and addresses some of the dilemmas faced by the 'global' Indian. Insanely Indian is a contemporary story about an educated, affluent woman of Indian origin, living in London. Aanya’s struggles begin when she discovers that her husband, Daksh intends to make a donation of £ 5000 to Jai Bharat Samaj, the offshoot of an organization in India that is accused of creating communal strife. Aanya, a staunch secularist, voices her discontent at his intentions and warns him about the social, political and moral repercussions of a misinformed donation. But Daksh is adamant to “give back” to his country. After much arguing with Aanya, he promises to hold back the donation until he has investigated its path. Seventeen years of Aanya’s life pass by raising Shaan and Sandhya, teaching at the London School of Economics, and worrying about ageing parents in India. Sitting in front of the television one evening, the BBC headlines shatter her world. She is astounded to hear that the British government is investigating the activities of Jai Bharat Samaj and Daksh is the key person being investigated for his involvement over the past two decades! Aanya confronts him and realizes that he has no remorse about his deception. Divorce follows and she becomes the founder of the organization Sach, which is dedicated to investigating the activities of various fund-raising organizations in the UK. A death threat and the vandalism of her house convince her that she is on the verge of a big exposé about Jai Bharat Samaj. Life gets more complicated for her as she is forced to open the lines of communication with her ex-husband when her seventeen-year-old son, Shaan gets arrested twice for his involvement with religion-affirming gangs in London. The newest member of Sach, Amar, brings back love to Aanya’s life. Daksh appears on Aanya’s doorstep on Christmas day and makes the whole family uncomfortable. Amar excuses himself, promising to return later. That night turns out to be the game-changer in Aanya’s life. Read the book to learn more about the perpetual struggles to create, retain and redefine the “Indian” identity. Insanely Indian is a story about finding one’s roots as a global citizen, struggling with conflicting multiple identities and the dilemmas of modern life. It is about love, about being a parent in contemporary times, about marriage and its fallacies, about love and its hope, and also about divorce and life after it. The story also highlights the importance of community and friendship, especially amongst Indian women living abroad as can be seen in the sisterhood between Aanya and Radha. Similarly, it highlights the high level of involvement that Indian parents have in their children’s everyday lives, no matter what age they might be, or where they may live. It is also about the relationship between siblings who live in different parts of the world and the connectedness between them that cuts across space and time barriers. Aanya’s sister, Sama is a constant reference point for her in times of crisis, even though Sama is leading a life isolated from immediate family in New York, facing her own struggles in love and life. She too grapples with her own feelings of wanting to escape from and return to India at various stages in her life. This book stands against fundamentalism of any kind and it is not the purpose of this book to promote any religious or political agenda, but to present one way of looking at the world, which may not be the most popular one in present times. This story is entirely fiction, though I am sure it must have taken place in someone’s life, somewhere. It is about the identity struggles of Indians living abroad, children growing up in multicultural milieus and the struggles of women and men in marriage and love. It is about the connectedness of the “global Indian” to India, to one’s past and the expectations from the society that one has left behind. My story brings to life the tension between the “modern” and the “traditional,” “freedom” and “expectations,” “indigenous” and “foreign” through the life stories of its characters. Insanely Indian is about creating a new life every time it seems to fall apart. The characters find the best alternatives that are available to them and constantly redefine themselves as they go through the journey of life. The book shows the resilience, strength and determination of human spirit and will capture the reader’s attention till the end. You are the reason that my crowd-funding publishing campaign is a success! Every copy has counted towards the magic number. Close but yet so far! Show your support for an upcoming novelist-sociologist by ordering your copy before 2 March. Insanely Indian is at the half-way mark on its campaign. Thank you for supporting me on this journey and believing in my writing.